After a cleaning sometimes a home owner will notice brown discolorations on the carpet. These are referred to as “forgotten spills.” These stains ,that did not originally cause discoloration of the flooring, are caused by spilled substances that contain colorless sugar that did not get cleaned from the carpet. The stains that now look like brown splotches were not noticed right away because the soil accumulated in the carpet allowing them to blend in. Now that the carpet is clean they are noticeable. There is another cause of forgotten spills and that is from water soaking into the carpet and dissolving dyes from the carpet backing or padding. Because carpet fibers act as wicks the moisture will rise with the dyes to the surface and the moisture will evaporate leaving the stain behind. Unfortunately trying to clean these stain by yourself may only lead to frustration. 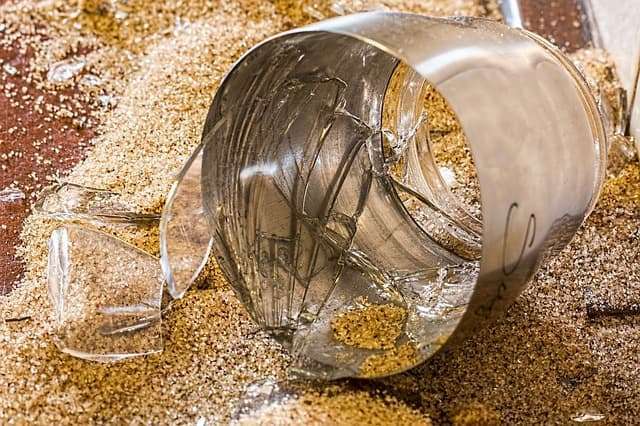 So what can you do to get rid of these “forgotten spills?” Call in a professional cleaner. They can use their stain fighting magic to decrease the appearance of forgotten spills. In some cases they may be able to actually get rid of the discoloration all together. Forgotten spills are tough to deal with so it is not guaranteed that a forgotten spill will completely disappear. To decrease the chance of forgotten spills on your carpets make sure to always always always clean up spills as soon as possible and teach all members of your household to do the same. Get up as much of the moisture as possible. Then when you are done treating the spills leave a clean white cloth or paper towel on the damp area weighted down with a heavy object until the area is completely dry. Be sure to replace with a fresh cloth every so often when it becomes very damp. Next call a professional carpet cleaning company for advice on how to best treat the stain from here. All Kleen is ready to help you with your toughest carpet cleaning problems. Make an appointment online or call us today. Thank you to our blogger today Tina Droessler for her post. If you want to sell your home fast you need to clean up these stains, even the forgotten ones! Want more tips on staging to sell? Visit her website and blog.